The historic county jail was constructed in 1878 at a cost of $25,845 and designed by architect David W. Gibbs of Toledo. It was the third jail built in Delaware County. The first jail was a 12-by-24 log cabin built in 1814, and a second jail was constructed in 1850. Currently, the historic jail is home to the law library and the office of the Ohio Fifth District Court of Appeals. Both will move to the historic courthouse once it has been renovated. The Delaware County Board of Commissioners have rescheduled rejecting the bids offered to purchase the building to Thursday, May 10, at 9:30 a.m. at 101 N. Sandusky St, Delaware. 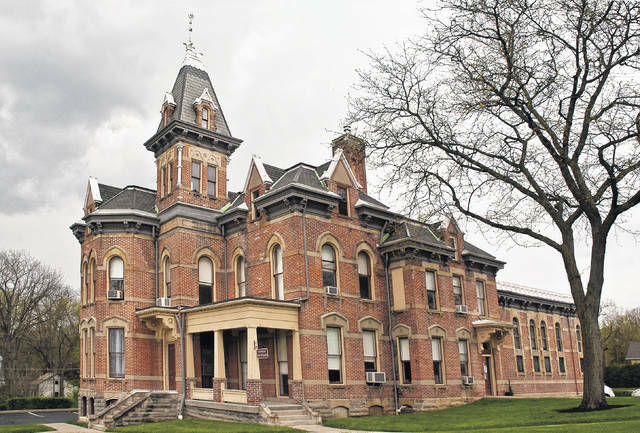 The Delaware County Board of Commissioners authorized Jon Melvin, county facilities director, on Feb. 26 to publish a legal notice that essentially put the historic Delaware County Jail and former sheriff’s residence up for sale. On May 3, according to the commissioners’ agenda, the bids made for the purchase of the historic jail were all to be rejected, until the highest bidder asked that the item be pulled from the agenda. Attorneys Michael Cox and Nick Mango, Delaware, approached the commissioners asking them to reconsider their bid of $156,000, supposedly the highest bid offered for the jail. Cox said the jail was advertised for sometime in several publications without a minimum reserve price. In February, Melvin said the county didn’t set a minimum price because the board of commissioners has the right to reject all bids. Cox said he and his partner, Mango, had consulted with a historical architect and sent a letter to Melvin outlining their vision for the building. However, Cox said if it were up to him and Mango, the building would be preserved for the next 30 years and hopefully, passed on to other attorneys or legal people so it could stand 200 years. “We ask the commissioners not to reject the bids that are submitted and rather enter into negotiations,” he said. Commissioners moved the rejection of the bids for the historical jail from the agenda to Thursday, May 10, at 9:30 a.m. at 101 N. Sandusky St, Delaware. “I think all three commissioners should be here for that conversation,” said Commissioner Gary Merrell. Commissioner Jeff Benton was scheduled to be out of town until Monday, and Merrell wanted him to have time to review everything before facing a decision. The building was constructed in 1878 at a cost of $25,845 and designed by architect David W. Gibbs, of Toledo. The first jail was a 12-by-24 log cabin built in 1814, and a second jail was constructed in 1850. The historic jail now up for sale was the third jail constructed for the county. Currently, the historic jail is the law library and the office of the Ohio Fifth District Court of Appeals. Both will move to the historic courthouse once it has been renovated. This entry was tagged D. Anthony Botkin, Gary Merrell, Historic Jail, Michael Cox, NickMango. Bookmark the permalink.